AIGA Jacksonville celebrated the tenth consecutive annual Always Summer Poster Show event, renamed the Design+Music Festival. The intention of the event is to showcase the power of design and AIGA's influence in shaping the music industry featuring a poster gallery comprised of submissions by Jacksonville artists and designers along side performances from local bands. 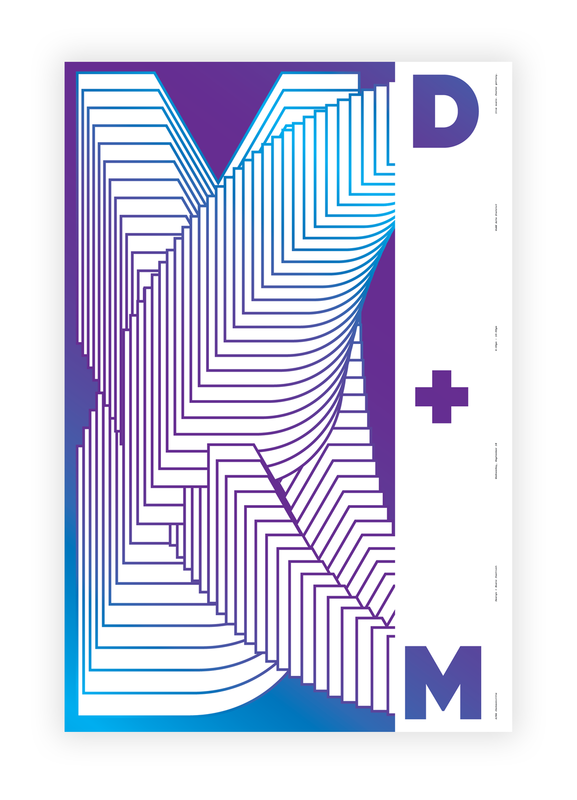 My submission for this year’s iteration of the event, instead of featuring a favorite song, album, or band, is dedicated to showcasing the Design+Music Festival itself as an event specific poster.